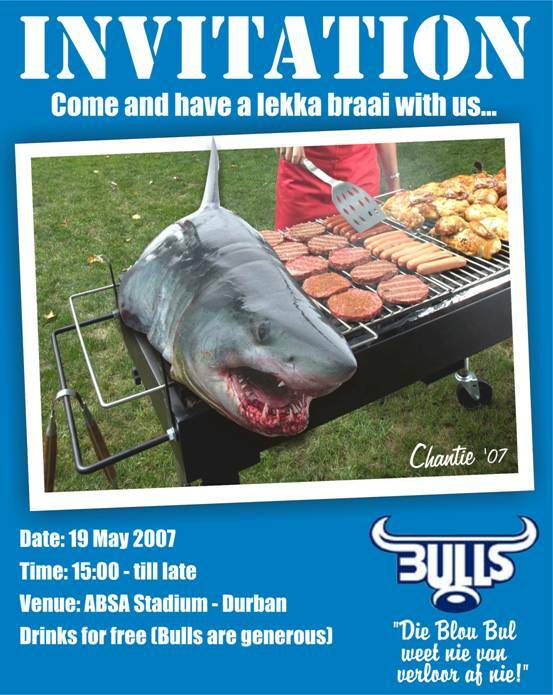 For the first time in history, this weekend's Super 14 rugby final will be an all South African affair with The Bulls taking on The Sharks at the ABSA Stadium in Durbs. This is going to be one heck of a game, much like a good ol' Curry Cup final, with both teams on top form. But the bookies' money is on the Sharks who are at the top of the Super 14 table and they're playing on home soil. I wouldn't discount the Bulls just yet though; they did go into the semi's in 2nd spot. 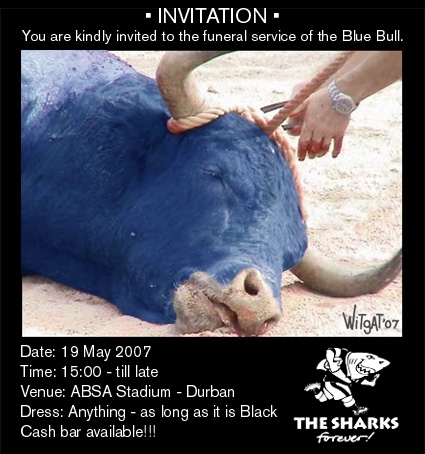 Either way, South Africa is going to grind to a halt at 3pm on Saturday as the country divides in two - those supporting the Bulls and those supporting the Sharks. So who's party are you attending?